View the following Web sites and answer the question for each site. 1. Go to the scratchboard technique page. How does Martiena color her scratchboard pictures? 2. 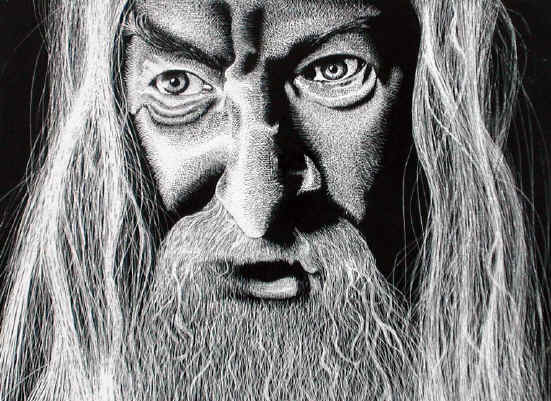 Go to the original scratchboard art page. About how much does one of Martiena’s original artworks cost? 3. Go to the limited edition prints page. Tell me which is your favorite picture (title) and tell why you like it the best. 4. Name one way Martiena’s and Gregg’s work is SIMILAR and one way they are DIFFERENT (two part answer). 5. Look through all 3 pages of Gregg’s original scratchboard art. Which picture do you think was the most difficult to do? Explain why you think it would be so challenging. 6. Go to the biography page of Michael Halbert’s website. How did he become a professional artist? 7. Go to the tutorials section of Michael’s website and click on the "Sailing with Photoshop and Scratchboard" picture. Briefly summarize the main steps he went through to create this work. 8. What materials and tools does Michael use in addition to scratchboard? 9. What does this website tell you about the history of scratchboard art? 10. Tell me the title of the scratchboard artwork that Stanley Morrison’s website you would most like to hang on your wall (remember, not all of the work displayed here is scratchboard). Explain why you would choose it. 11. After looking at these scratchboard pieces by different artists and beginning to work on your own piece, what do you think is required to create a really good scratchboard composition? 12. R. Berendt alias "Orca." How is Mr. Berendt's work similar to work by the other artists you studied? How is it different? Bob passed away on August 9, 2011. You can see the Facebook memorial page here.